Christopher Paul Curtis' middle grade book follows a 12-year-old boy sent to track down some thieves to pay off a debt. Christopher Paul Curtis brings his trademark humour and heart to the story of a boy struggling to do right in the face of history's cruellest evils. 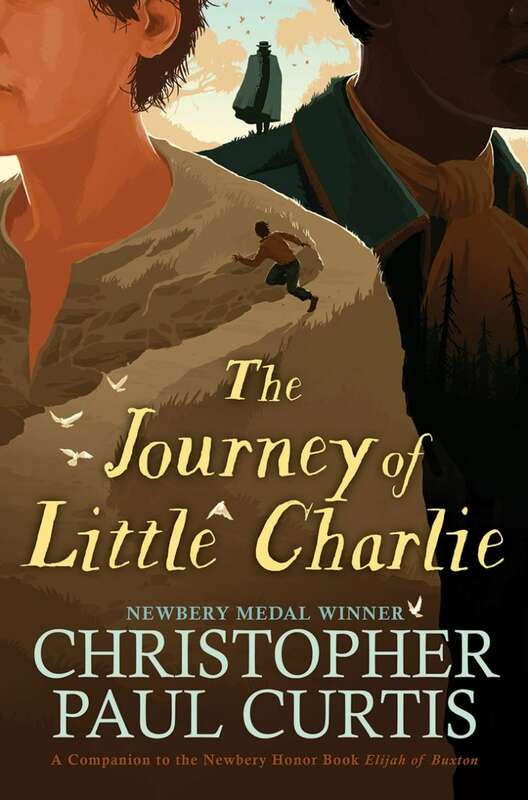 The Journey of Little Charlie was a finalist for the 2018 Governor General's Literary Award for young people's literature — text. I'd seent plenty of animals by the time I was old 'nough to start talking, but only one kind worked me up so much that it pult the first real word I said out of my mouth. And 'cording to the only folks who was there to witness the whole fuss, the word kept tumbling outta me o'er and o'er for more'n half a day. Long 'nough for Ma and Pap to wonder if I'd banged my head on something and got tetched. Long 'nough for 'em to start looking 'round for something to tie 'crost my mouth to hesh me up. I don't know what it was 'bout this critter that riled me so, 'cause when you holt it up next to other animals, there ain't that much that's spec-tac-a-lar 'bout it. From The Journey of Little Charlie by Christopher Paul Curtis ©2018. Published by Scholastic Canada.